10 Apr 2019 --- Seattle-based start-up StixFresh has developed a sticker that can keep fruit and vegetables fresh for up to two weeks longer than usual. When applied to the fruit, the all-natural compound contained on the sticker creates a protective layer around the fruit that increases its shelf-life, reducing food waste at home or anywhere along the post-harvest supply chain. Stixfresh anticipates commercial release by August 2019. The scientists at StixFresh have used what plants naturally secrete to protect themselves from harmful environmental conditions and applied this formulation to the surface of its stickers. The patent-pending all-natural formula also includes beeswax. In the vapor-phase, the re-purposed compounds work together to create a protective layer around the fruit, which has been shown to slow down decay and prevent over-ripening. The sticker has been independently tested and scientifically shown to keep fruits and vegetables fresh for longer. 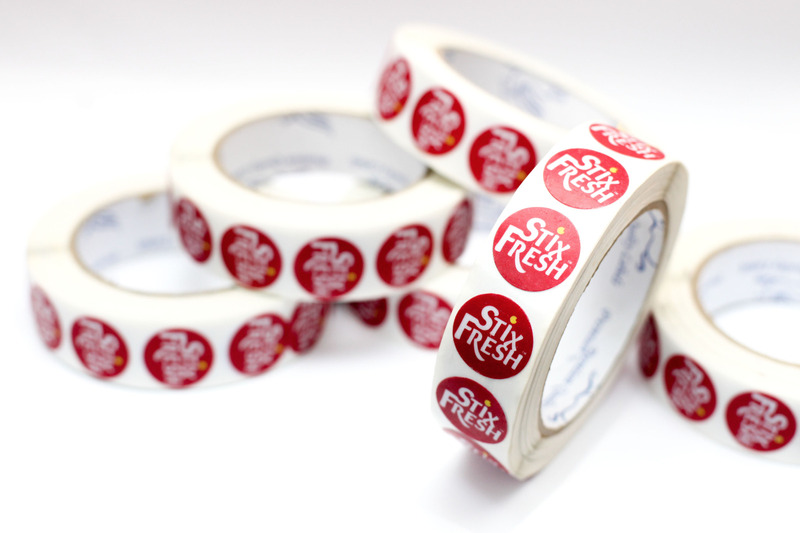 Further independent studies have also shown that fruits treated with the StixFresh sticker show increased sweetness, higher retention of moisture and sustained cellular structure resulting in increased firmness. The stickers have been tested on apples, pears, avocados, mangos, citrus fruits, papayas, star fruits and kiwis. Every year, up to a reported 50 percent of all food produced worldwide goes to waste. Experienced across the entire supply chain, the negative financial and environmental consequences of these losses are massive. Fruits and vegetables account for the largest portion of wasted food in terms of mass. “From farm to fork, 52 percent of fruits and vegetables go to waste. That’s an annual loss in the tens of billions of dollars, which is experienced across the entire supply chain. In the US alone, the fresh fruit market is estimated to be worth US$47 billion annually, of which US$24 billion will go to waste,” Moody Soliman, StixFresh Co-Founder and CEO, tells PackagingInsights. One of the key selling points of this technology, according to Soliman, is its simplicity. No other technology in the market is as non-invasive or as simple to apply as StixFresh. “The StixFresh technology consists of standard US Food and Drug Administration (FDA)-approved stickers – the same ones you currently see on fruit in stores – that are coated with a patent-pending formulation. StixFresh can be seamlessly applied anywhere along the supply chain, at the producer, distributor, retail or end-consumer level,” Soliman explains. “Any branding of choice, including barcodes, can be printed on the sticker. Thus, producers and distributors may continue to use their existing stickers in combination with our powerful formulation to extend the shelf-life of their fresh produce,” he adds. Simple: StixFresh is minimally invasive with no need to inject or coat the fruit with anything. 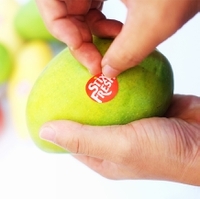 Peel and place StixFresh stickers on apples, pears, avocados, dragon fruits, star fruits, kiwis, mangos, oranges and other citrus fruits to help keep them firm, sweet and juicy. 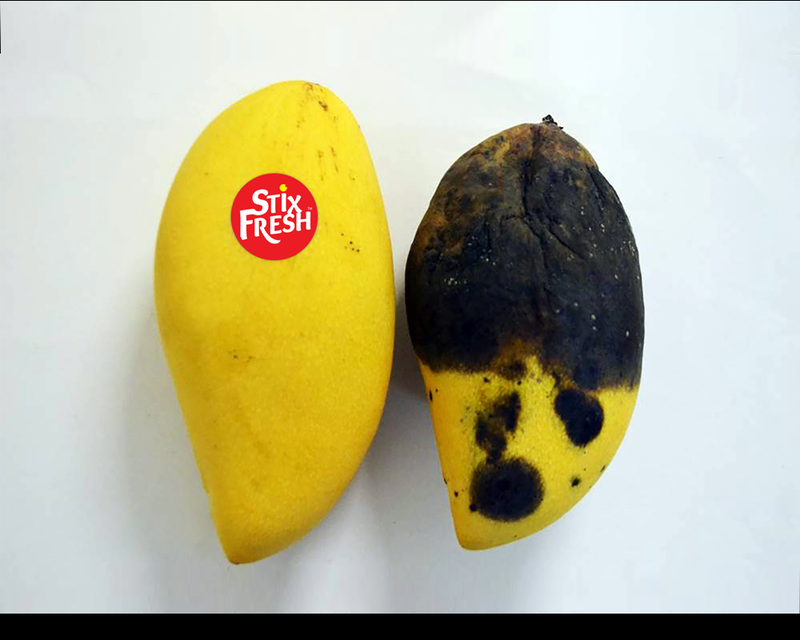 Effective: Through countless comparative tests, StixFresh has proven to deliver significant results, extending the shelf-life of fruit by up to two weeks. Safe: Keep fruit fresh longer without chemicals. StixFresh is made of all-natural ingredients which meet GRAS (Generally Recognized as Safe) requirements in accordance with the FDA. StixFresh stickers are in the final product development stage. The start-up launched a crowdfunding campaign in March, through which part of the funds raised will be allocated to the final development and testing prior to commercialization. Commercial rollout is expected by August 2019. “Our continuing goal is to develop new formulations that will be as effective on all kinds of fruits, such as berries and cherries, as well as vegetables,” Soliman tells PackagingInsights. “In addition to fruits and vegetables, our long-term objective is to provide waste reduction solutions across the food and agriculture industries which will include pre-harvest crops, post-harvest crops, seafood, meat, poultry, eggs, dairy and more. As a result, we’re also exploring other delivery methods beyond the stickers, including pods, coatings and sprays,” Soliman concludes. StixFresh was recently selected as a finalist for three categories at the 2019 World Food Innovation Awards and took home the award for Best Packaging Technology and Best Sustainability Initiative. The company was also a finalist in the Best Sustainable Packaging category. Food waste: Overcoming a huge economic and environmental issue Click to EnlargeStixFresh is set for commercial rollout in August 2019. In the US, 52 percent of fresh fruits and vegetables go to waste, with the average household losing US$1,800 annually to food waste, according to the Natural Resource Defense Council. Yesterday, as part of the Trump Administration’s “Winning on Reducing Food Waste Month,” the US Department of Agriculture (USDA), the US Environmental Protection Agency (EPA), and FDA announced the release of a federal interagency strategy to address food waste. Solutions designed to curb the impacts of food waste by increasing shelf-life have been breaking new ground, particularly in the fruit and vegetable sector. A recent report by Fruit Logistica anticipates “significant innovation” in fresh produce packaging and supply chain management in the coming years. This prediction is based on increased consumer awareness of the environmental damage caused by food packaging and the need for greater shelf-life and efficiency in the supply chain. One such company innovating to improve fresh fruit and vegetable shelf-life is UK-based technologists, It’s Fresh!. The company’s latest shelf-enhancing product, Infinite, is a new sustainable delivery system that utilizes a proprietary “active ingredient” that can be printed directly onto existing packaging for fruit, vegetables and even flowers. It is proven to prolong shelf-life and extend freshness and quality by absorbing the natural ripening hormone, ethylene. Taking a cure rather than prevention approach, new research from the University of Borås, Sweden, has created edible, bioplastic films and 3D objects from fruit waste. Apple and orange waste are converted into 3D shaped objects such as mugs and plates. In the artificial intelligence (AI) arena, food waste innovators Winnow has launched Winnow Vision, which utilizes a camera, a set of smart scales and machine learning technology to recognize the different foods that are discarded and calculate the financial and environmental cost. It is designed to enable businesses to adjust their food purchasing decisions and reduce spending while tackling food waste. A recurring theme at Empack 2019 last week in Den Bosch, the Netherlands, was how best to strike a balance between increasing shelf-life while minimizing the scourge of plastic waste through new innovations. Some experts are warning that the importance of packaging in reducing food waste is being lost on consumers who are increasingly swayed by anti-plastic sentiment.